Karl Priore was born and raised in Pittsburgh, Pennsylvania. After his family moved to the North Hills area, Priore received his formal education in the North Hills School District. In his senior year of High School, Priore was accepted to Duquesne University's School of Music and awarded a performance scholarship. It was there that he received a Bachelor's Degree in Music Education and a Master of Music while serving as a graduate assistant to Dr. John Wilson. Priore began to perform professionally by playing with many of the local dance bands around Pittsburgh. It wasn't long before he started to play with well-known names and acts, as well as being a full time member of the Benny Benack Band. Throughout the years, Priore has performed a wide variety of musical styles from classical to jazz to rock. He has appeared with the Pittburgh Opera, the Civic Light Opera Orchestra, the Balcony Big Band, the Lettermen, the Big Easy Jazz Band, the Glen Miller Orchestra, Bobby Vinton, Maureen McGovern, Jim Nabors, Perry Como, Pat Boone and Jack Jones. 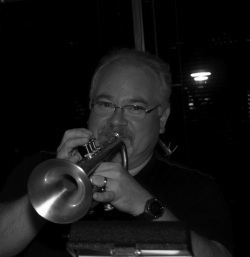 Currently, he is the lead trumpet player with the Burgh' Big Band and the Joe Campus Big Band, and he continues to do a great deal of freelance work. His love for traditional jazz music is evident as he is a co-founder of the RedHot Ramblers dixieland jazz band. With over twenty-four years of experience, Priore has developed award winning students and ensembles from both the Monessen School District and the Kiski Area School District where he presently teaches. In his years as a music educator, he has been a director of marching bands, jazz ensembles, and concert bands of all grade levels. He is also a professor of trumpet at the University of Pittsburgh. Priore currently resides with his wife Beth in the North Hills of Pittsburgh.